OKINADO is a japanese-style western restaurant in Matsumoto-city Japan and a long-standing one established in 1933. 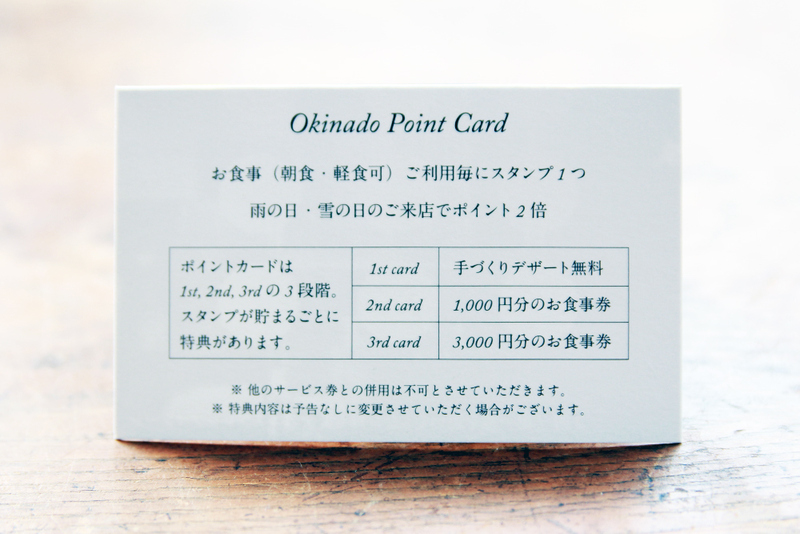 In summer of 2015, they started to use their new point card of three stages. There are each photos on each front sides. These photos show something talking some stories which tell the wonderful mood, history and spirits of their restaurant. When the customers collect points in each stages, they can eat one desert for free (at the first stage), eat something food for 1,000yen (at the second stage) and eat something food for 3,000yen (at the third stage).